Me in my happy place! I woke up to groaning and whining the morning we were set to leave San Miguel de Allende, and for once these pitiful sounds weren’t coming from Maya. Jason and Victoria were in pretty poor shape. As often happened in San Miguel, My Family spent their last night in town out all night with friends, and they weren’t hopping out of bed all bright-eyed and bushy-tailed. Although it seemed like there was more going on than just too many cervezas at the karaoke bar: Jason was sniffing and sneezing at an alarming rate, and Victoria’s right eye was puffing out of her face. Fantastic. So not only were we set to leave, but I had two sick humans on my hands! This didn’t bode well. Sure enough, it took them AGES to get us going that morning. Not that I minded particularly. It just meant more time snuggled under the covers for me. Maya, however, was starting to panic. She never likes it when we pack up, and the longer it takes, the more frantic she gets. Apparently, she still thinks every stop we make is our new forever home. I keep trying to explain it to her, that the camper and the Big Truck are really our home, and all these places we go are just temporary adventures. Still not sure she gets it. We said quick goodbyes to our campground friends before we left. 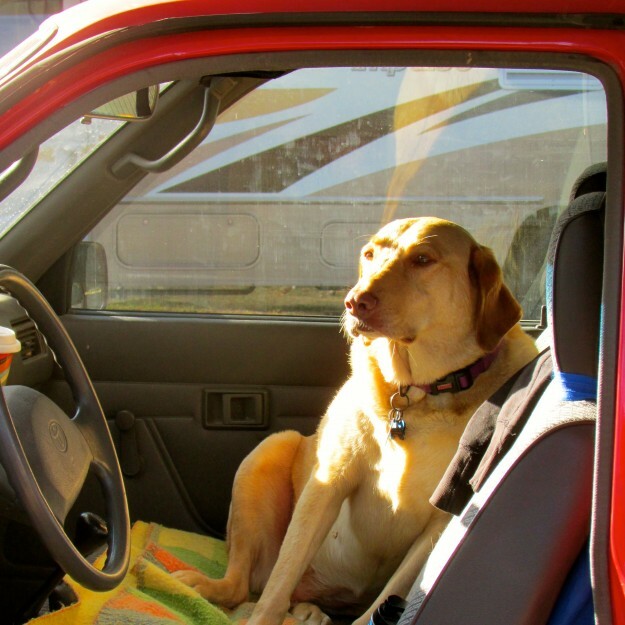 Looks like Zoe was ready to hit the road too! After much more groaning, sneezing and pouting, My Family finally got us out of San Miguel de Allende. I curled up on Victoria’s lap as the cobblestone city receded in the distance. Maya flopped into her spot in the backseat, her tongue lolling out, drooling over the blanket Victoria lays down for her. Maya still doesn’t have many teeth to speak of, and that tongue just drags everywhere. It makes her look super silly, which means I have to rush in to rescue her any time tough dogs try to push her around. It’s tiring being the big sister sometimes! San Miguel is smack dab in the center of the country of Mexico, which meant a very long drive was ahead of us. We were heading back to the coast of the Pacific Ocean, which, by the way, is the same coast that Venice is on! I overheard Victoria and Jason talking, and it didn’t sound like we were going to make it all in one day. I sensed a night at “The Pemex Inn” was ahead of us. When the goals of the adventure force us to cross a lot of ground in one day, Jason can’t always drive us to a nice campsite before it gets dark out. Since we were so late in starting out, that was doubly true this day. 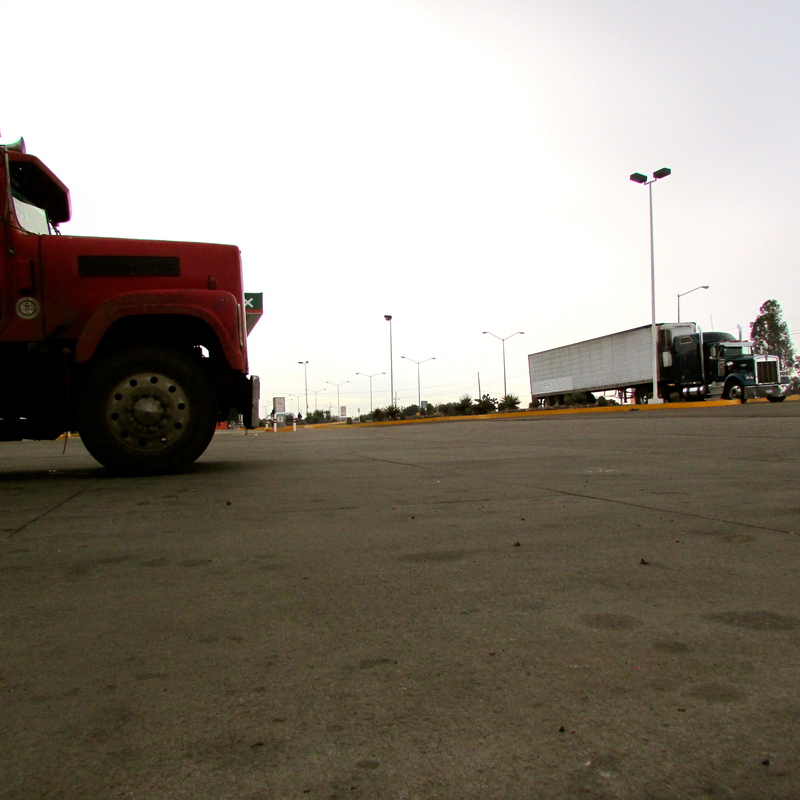 So instead of going out of our way to find a home for the night, we ended up stopping at a Pemex gas station. They’re all over Mexico, and Victoria was pretty choosy before we settled on one, just to the west of the big city of Guadalajara. It was packed with big trucks, and other drivers taking a snooze before continuing on their way. We settled in to the steady rumble rumble of the eighteen-wheelers and their air brakes, and snuggled up for the night. The next day we were up bright and early, and quickly packed down. Jason’s sniffles were subsiding, and Victoria’s eye was already looking better. In much better spirits, My Family took off for the beach. A couple of hours later we twisted and turned our way down winding jungle roads, and ended up back in a town called Sayulita, a place we had visited over a year ago in human time. Man, was it busy! It seemed like every inch of space was taken up by restaurants and shops, packed with vacationers. There was literally no space in the campground there, so we set off to check out some other towns in the area. I didn’t really mind where we ended up, as long as it involved days of running on the beach. Maya, on the other hand, was getting seriously fidgety. She really doesn’t like the driving days. 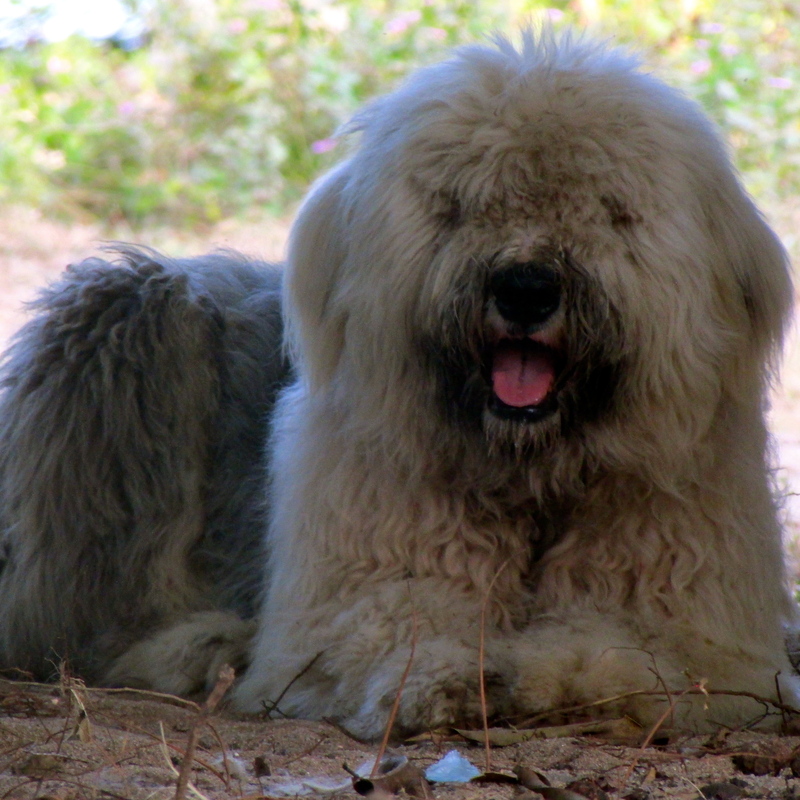 One of the many dogs in our campground. We saw a bunch of other towns, but finally settled on a place with two names. San Pancho (also known as San Francisco) is a smaller town just north of Sayulita. We found a super cool campsite right on the beach and quickly got the camper set up. Then it was off to explore! Maya and I said hello to the many camp dogs, and spent the rest of the afternoon with Victoria and Jason in this super cool little town. We stopped for fish tacos (delicious), and watched the sun set at a restaurant on the beach (chilly). After weeks and weeks of being left at home in the big city, it felt fantastic to stretch my paws out and sniff around a bit. 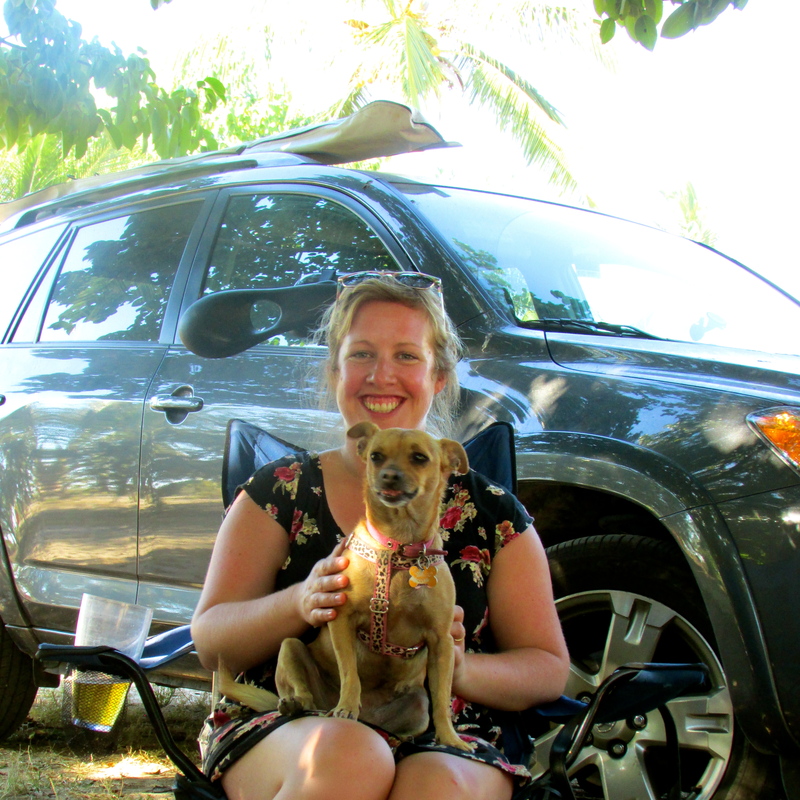 We spent a whole week in San Pancho, and it was the best kind of fun. 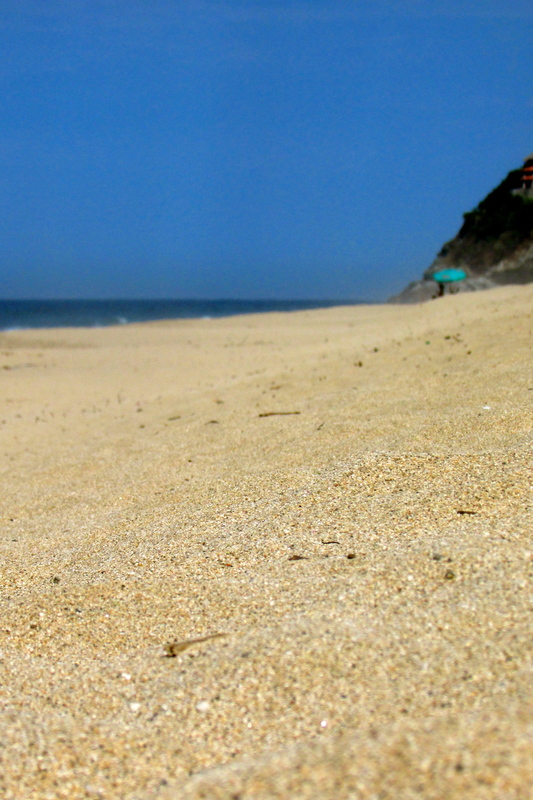 I’ve loved most of the stops on my Big Adventure, but nothing beats the small beach towns. 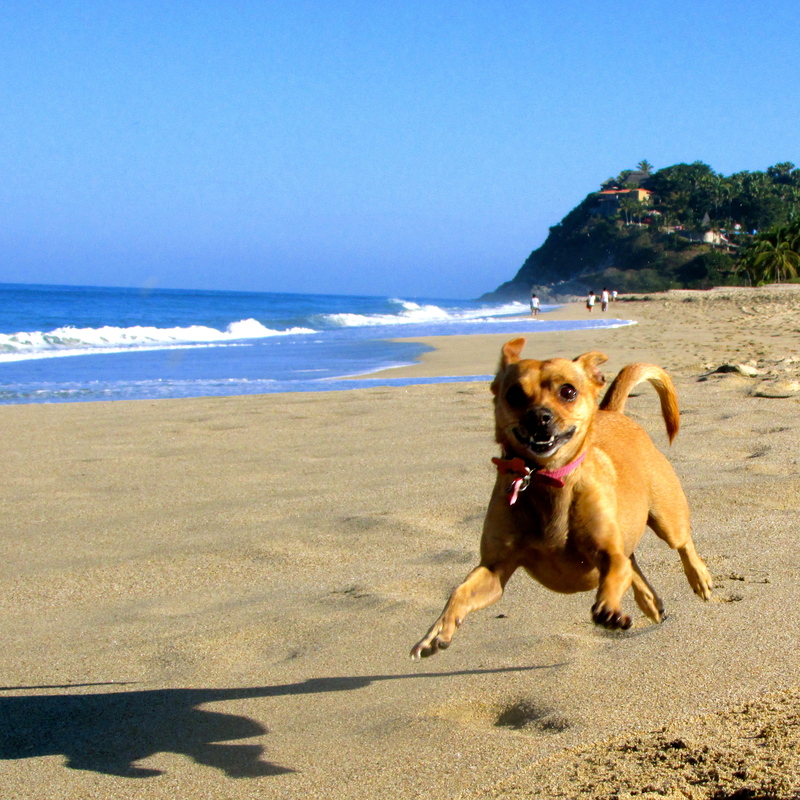 San Pancho was much smaller and quieter than Sayulita, which meant almost every day Maya and I got to run on the sand off leash. I spent hours tearing around, sniffing other dogs, snapping at the waves and pouncing on Maya as we chased each other across the beach. It was sunny and hot every day, which was awesome after so many days spent shivering up in the mountains. And the campsite was so cool! 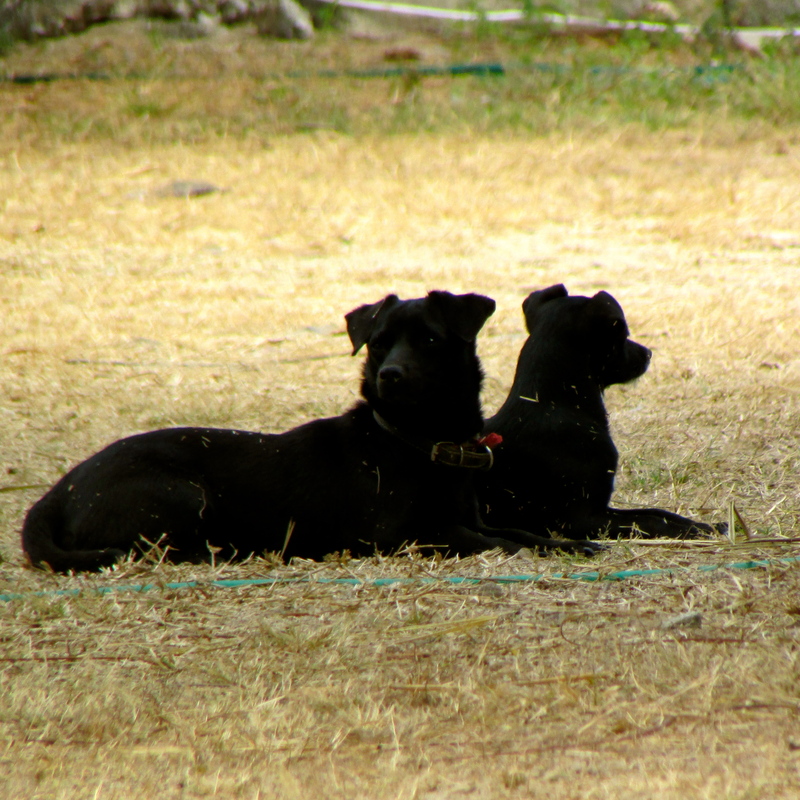 These two camp dogs were super fun to play with, even Maya liked them! Most of the neighbors were from Mexico, and there was always something going on. There was a family that lived next to us in a couple of campers, and they were always playing music. There were guitars, violins, flutes and drums, as well as juggling and fire dancing at night. Victoria said they were ‘gypsies’, but I don’t really know what that means. Their little girl was super nice to me, always stopping by to say hello and pet me, and tossing me treats to eat when Jason wasn’t looking. Even Maya seemed to really settle into a routine here. 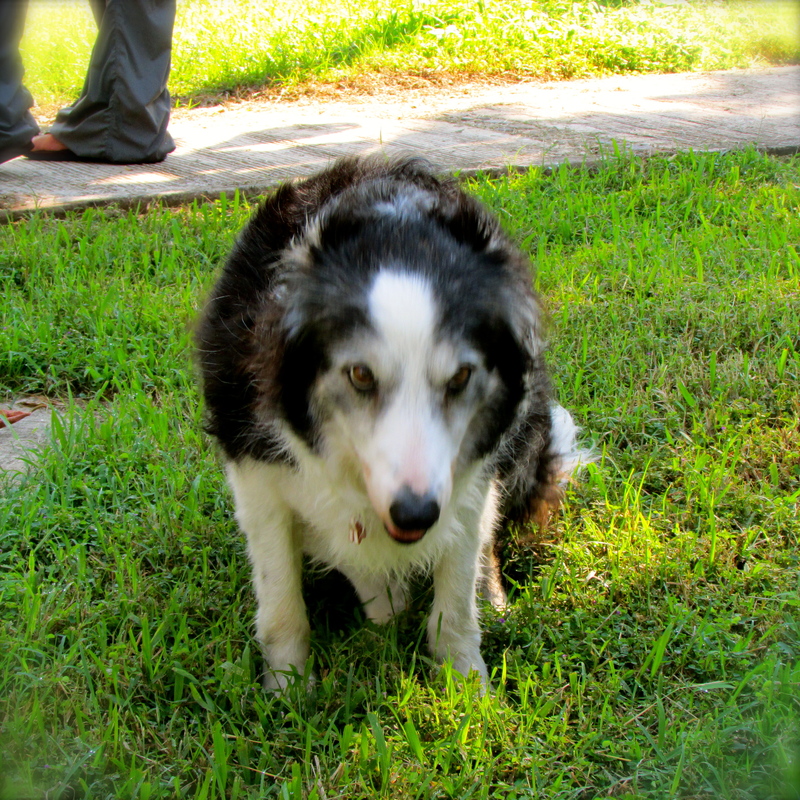 There were tons of dogs around, which usually makes her very nervous. But they were all so sweet, and since the campsite was closed in we got to wander around off leash all the time. Basically, you’re talking the perfect doggie life here! We did have one very strange experience in this sleepy beach town. One day, a nice Canadian couple rolled into the campsite. Jason helped them park and get set up, they chatted for a few minutes, and then we went on with our day. In the evening, a couple of their friends showed up, and everyone was pretty noisy. One of their friends had three dogs with him, and the camp dogs were NOT HAPPY. There was lots of barking and growling, which was pretty strange, because the local dogs accepted Maya and I with no problems. Eventually they all went out together, so we thought the problems were over. My Family settled in for dinner, and then got snuggled up nice and early. It was pretty late when barking and screaming woke me up. Maya launched herself at our window, and was snarling and yelling until Victoria got her under control. But she wasn’t the cause of the noise. The Canadians were back, along with their friend who had the three dogs, and everyone was shouting. Moments later, the owner of the campsite showed up, and he was shouting and pushing the dogs’ owner. We all peered out the window, watching the chaos. The owner had a machete, and he was swinging it in the air! Every single dog in camp was barking, as two men pushed each other in the dirt. Finally, the scary man with his dogs went away, and I tried to curl back under the covers. Victoria and Jason, however, were wide awake. Me and Krista just hanging out! Luckily, that was the only unwelcome excitement we had. Two days later, there was a much more welcome surprise: our friend Rufus and his family showed up at the campsite! We hadn’t seen these guys since our first weeks in San Miguel, so it was pretty cool to be reunited again. And unlike in San Miguel, all us dogs were allowed to run around off leash here. It was so great getting to really play with Rufus for once, instead of being all leashed up. We had one fantastic day together, watching the sun set on the beach, and then hanging out outside with a campfire. I wish these days would just go on forever. Unfortunately, we had to pack up and hit the road the next day. Victoria and Jason had been talking about our next move, and I overheard that they wanted to get back to the Baja peninsula, which was our very first stop in Mexico. 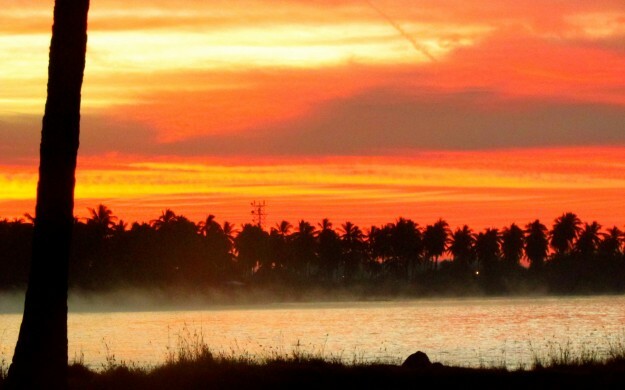 To do that, we had to head further north, to a town called Mazatlan, where a ferry would take us across the water. So we packed up again, said goodbye to our friend Rufus (and My Family’s friends Krista and Paul), and got back onto the highway. After looking over our maps, My Family decided to check out a little peninsula on our way north. It sounded super pretty, so we veered off the highway and into a thin stretch of road surrounded by endless farmland. There were several campsites towards the bottom of this peninsula, but most of them were closed down. I guess there aren’t that many adventurers that come over here? Anyway, after a super long drive we finally found a nice park right on the water’s edge where we could spend the night. There were several other campers here, most of them in vehicles much larger than ours. Victoria called them ‘snowbirds’, even though none of them had wings, or a single feather I could see. Everyone was pretty tired after a long drive, so we snuggled up early and went to bed. The next morning, My Family had us up even before the sun. It was very cold out, and everything was soaking wet with sea water. Jason packed up the camper, and we left right as the sun was rising. It was very cold, with a thick layer of soupy fog hanging over everything, but My Family thought it was really pretty. I spent the whole morning curled up on Victoria’s lap, and it didn’t really warm up until we pulled into Mazatlan. Sunrise on the peninsula was worth getting up for. Mazatlan is a HUGE city, like even bigger than San Miguel. Yet they are nothing alike. Here there were huge buildings, fishing boats, and literally TONS of those big campers and the snowbird creatures Victoria talked about. We found a campsite near the beach and got situated. This was nothing like the dirty lot filled with gypsies we had visited in San Pancho. There were huge campers everywhere, and each spot had a cement patio to lay out on. It’s called an RV park, and it’s sort of a strange place. There were other dogs, but they had to be on leash all the time, and most of them spent their days inside. 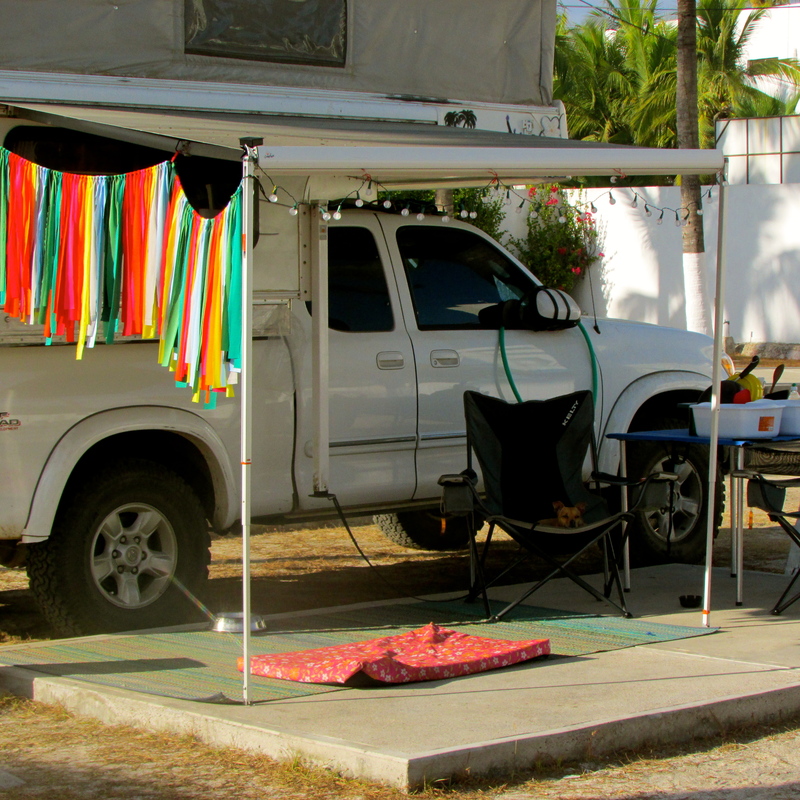 We spent about a week in this RV park in Mazatlan, and there’s not much I can say about it. I didn’t mind the slow pace. I spent most of the time laying out in the sun, and did get a couple of beach runs in. Maya, on the other hand, was seriously bored. We couldn’t be off leash at all, which meant very little play time. And when you’re a puppy, play time is crucial. Victoria and Jason had an okay time, and did meet a couple of other nice travelers having our sort of Adventure. Yet it wasn’t particularly adventurous, OR fun in this busy city. My Family did enjoy a couple of nice sunsets and meals, but I got the feeling we were here by necessity, not really because we wanted to be. 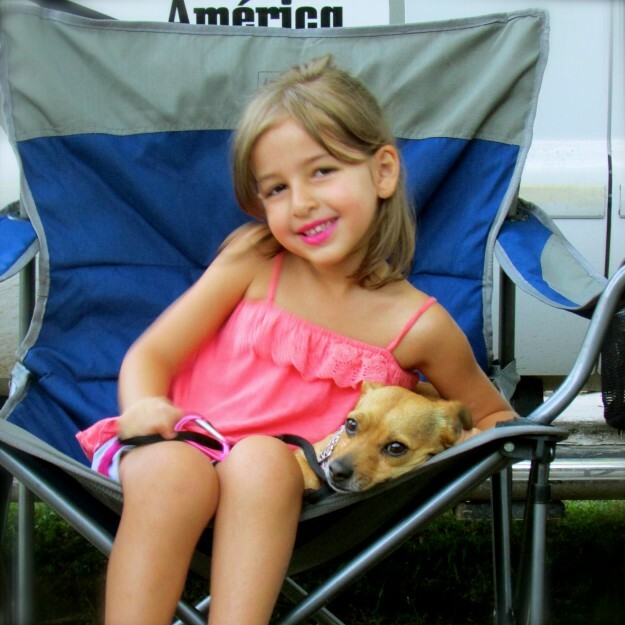 Life in an RV park is pretty boring. Sigh. I found that to be true when I overheard that the ferry to the Baja was the only reason we were here at all! And what’s worse, we couldn’t get on the boat! Now don’t get me wrong, I had no problem delaying this ferry ride. If you remember our last one, it wasn’t much fun. It was cold and dirty, and the heaving of the waves made me mildly nauseous. I knew it would be much worse for Maya, who doesn’t understand much of anything, let alone what a boat was like. Jason and Victoria kept trying to get us lined up for the ferry, but there was no room on a ship for another ten days. Neither of them wanted to spend that much longer in Mazatlan, so after much debate it was decided we would drive. How is that possible? Apparently, you can drive up through Northern Mexico and around onto the Baja, instead of taking a boat across the water. It would take much longer, but it would also give us the opportunity to explore a whole new part of the country that we wouldn’t get to see any other way. With that decision made, we swiftly packed up and hit the road. Maya wasn’t thrilled to be back in the car. I tried to explain to her how much better this was than the boat, but the last time she had been on a boat was when she was a little baby, back on Lake Atitlan. She can’t remember that far back. Anyway, we had a super long day driving north, and weren’t able to make it to our next campsite. Yep, that meant another night at The Pemex Inn. 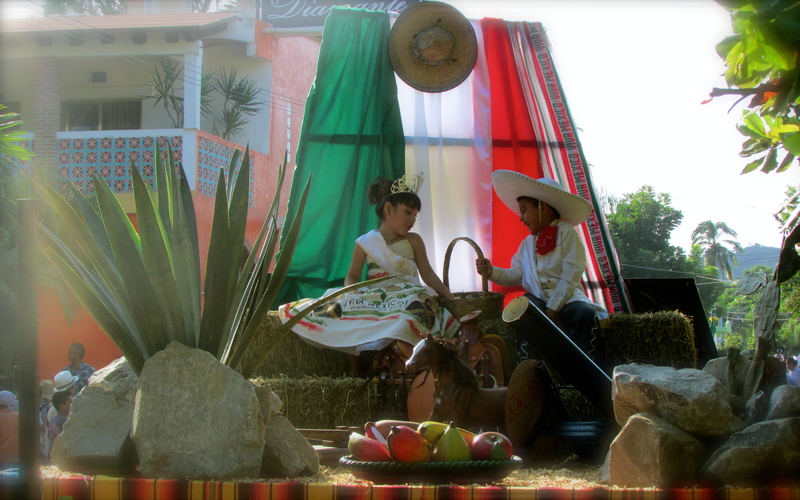 PS: To see some of the photos My Family took in San Pancho and the Mazatlan area, CLICK HERE. 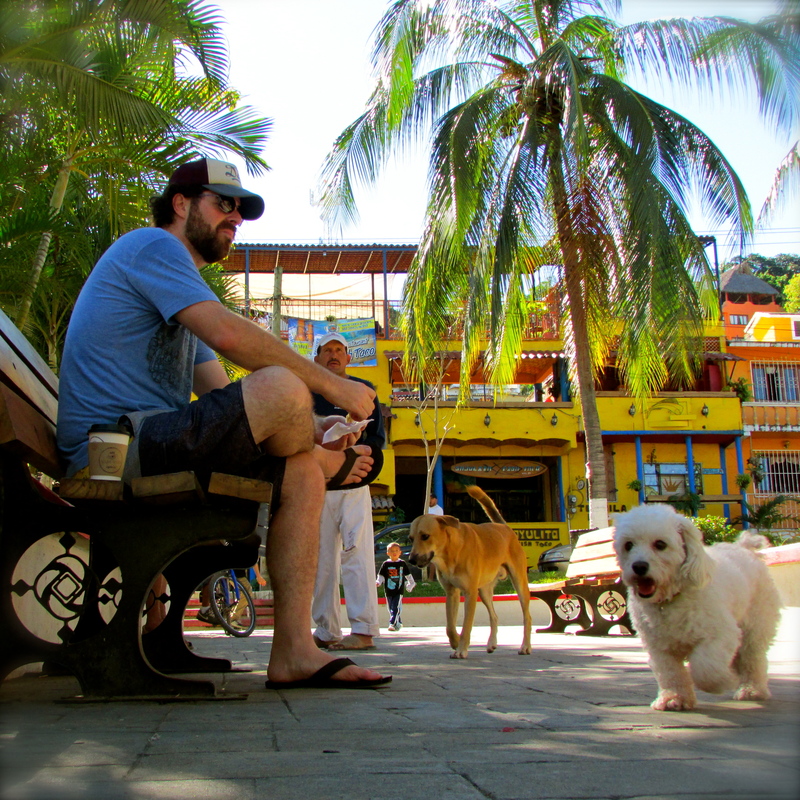 Me and Olivia relaxing in Sayulita. I love when Olivia and her family shows up because Olivia always wants to play with me! First of all, I’m sorry it’s taken me so long to write this blog post you guys! The trip to Mazatlan was pretty tough, and since then I’ve basically been recovering on the beach. It’s really hard to tear myself away from the best sunny, sandy spots I’ve ever seen, and then when I do Jason is working so much that it’s been hard to get anyone to help me write these posts. I’ve managed to sneak some time on the computer, so here it goes! After we drove off the ferry we had to find the San Bartolo Trailer Park, where we were going to be spending the night. It was somewhere in Mazatlan, and unfortunately my Family didn’t have a good map. The GPS wasn’t working that well either, and since everyone was so exhausted from the ferry ride it made navigating a big city pretty tough! We did it somehow, and the RV park ended up being a lot of fun. Someone had trimmed all the hedges into funny animal shapes, which was pretty cool, but even better was the fact that our friends were there! When we arrived we saw the nice British couple we had met in Los Barriles, and parked right next to them was our German friends Doris and Torsten, who Victoria and Jason met in Venice way back before the adventure even began. We were lazy, tired and sweaty, but everyone was still happy to see us. After showering my Family had rum punches at the Germans’ rig. Although I didn’t get to taste any of that, I did get a lot of attention from our friends, and most especially from Torsten. He let me sit in his lap, and gave me all sorts of rubs and snuggles. I love Torsten! After that My family went out for dinner with our friends, but they left me at home in the camper. Although I was disappointed not to get any treats from the restaurant, I was more than happy to snooze while they were away. Victoria and Jason got home pretty early, filled with food and happy to be meeting other overlanders, even though we seem to keep meeting up with the same people! 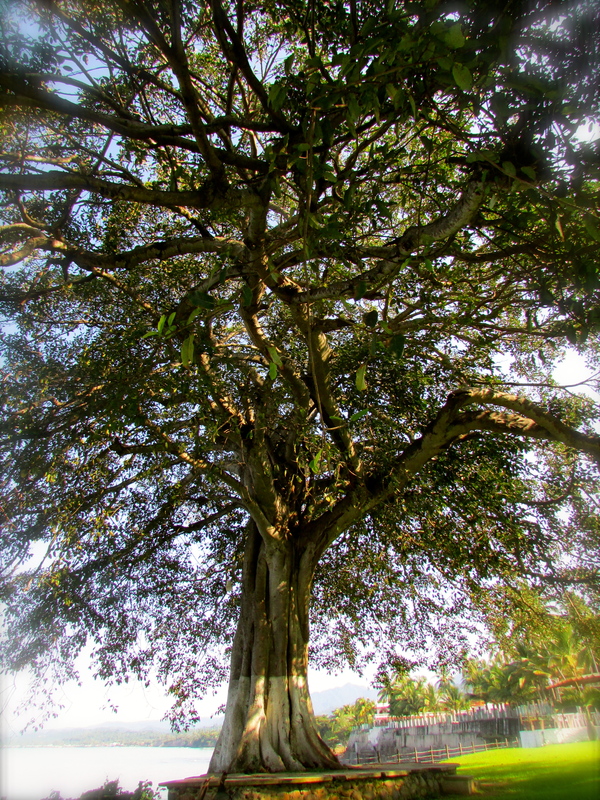 Giant shady tree in Miramar. The next day we meant to get up really early so we could make it to Sayulita before sunset, but my Family was really slow to crawl out of bed. That was perfectly fine with me, but as the time passed I could tell Jason was worried we wouldn’t make it in time. Apparently we had a very long drive ahead. In the end we ended up leaving an hour late, but after saying goodbye to our friends Victoria was still pretty confident that we’d make our next destination. Things changed in a hurry. My Family took a wrong turn, thinking they had to find one particular highway, and drove almost an hour in the wrong direction before they figured it out! A little bit of panic in the truck, but we were determined to get through it and keep going. We stopped for gas, and the nice man who filled the truck for us really liked our ‘Perro Peligroso’ sign. That means ‘dangerous dog’ in Spanish, and I guess if you know me you’d think that was pretty funny too. But hey, I can be tough when I need to be! We drove onto a big highway, and although it was helping us make up some time, Jason didn’t particularly enjoy it. There were crazy drivers everyone, led by the nuttiest truck and bus drivers I’ve ever seen in my whole life. One bus driver even tried to pass us and a big truck in the other lane, and almost crashed into three cars coming the other way! People were making up their own lanes, and driving straight at us on the wrong side of the street, all while going really fast. We were fine, because Jason’s a pretty good driver, but I could see that his hands were holding the steering wheel very tightly. The beach in Miramar. We had the place to ourselves once the sun started to set. We were making good time, but with our early morning detour Jason and Victoria started to think we wouldn’t make it to Sayulita, their most favorite place in Mexico, that day as planned. Victoria opened up our guidebooks and found a nice looking RV park in a town called Miramar, so we pulled off the road and onto their cobblestone driveway just before the sunset. It was good timing, as I don’t think Jason could have handled the small, windy roads packed with potholes for very much longer! The Paraiso Miramar RV-Trailer Park was super nice. We found a place to park right in front of a huge, perfect lawn topped with one of the biggest, prettiest trees I’ve ever seen. Families were splashing in the pool and playing games on the grass. We got out and almost immediately a big dog named Archie came right up to me. He wanted to be really really good friends, but Victoria wasn’t having any of it. I kind of just wanted to run around on the lawn anyway. We sat on a bench and watched a really pretty sunset, and then headed off to dinner. They had a nice restaurant with delicious food, and this time I got to try some. My Family also met a very nice older couple named Julie and Rusty, who split their time between a small town in California and an even smaller town in Mexico. They were traveling with two dogs and a cat! I didn’t get to meet the cat, but the dogs were really nice. After dinner we went back to our camper, and that’s when we noticed the bugs. We didn’t really see many of them when it was still daytime, but once the sun went down they came out in droves, looking to munch on us every chance they got! I don’t mind quite as much, because I can chase them, and sometimes if I’m lucky I even manage to eat one or two. They’re pretty delicious, but Victoria was absolutely fed up. My Family spent some time battling the bugs in the camper, before finally settling in to listen to the ocean waves and get some sleep. One of Julie and Rusty’s dogs. She was super friendly! The next day we managed to wake up on time, to pack up and have a nice breakfast with Julie and Rusty. They suggested we check out a couple of small towns, and are especially proud of where they live. I don’t think we’re going to make it through all of them, but hopefully someday I’ll get to meet those nice people and their dogs again! After breakfast Rusty showed us some of his art, which was pretty cool, while Archie tried to sniff me up and down again. We said our goodbyes and hit the road. 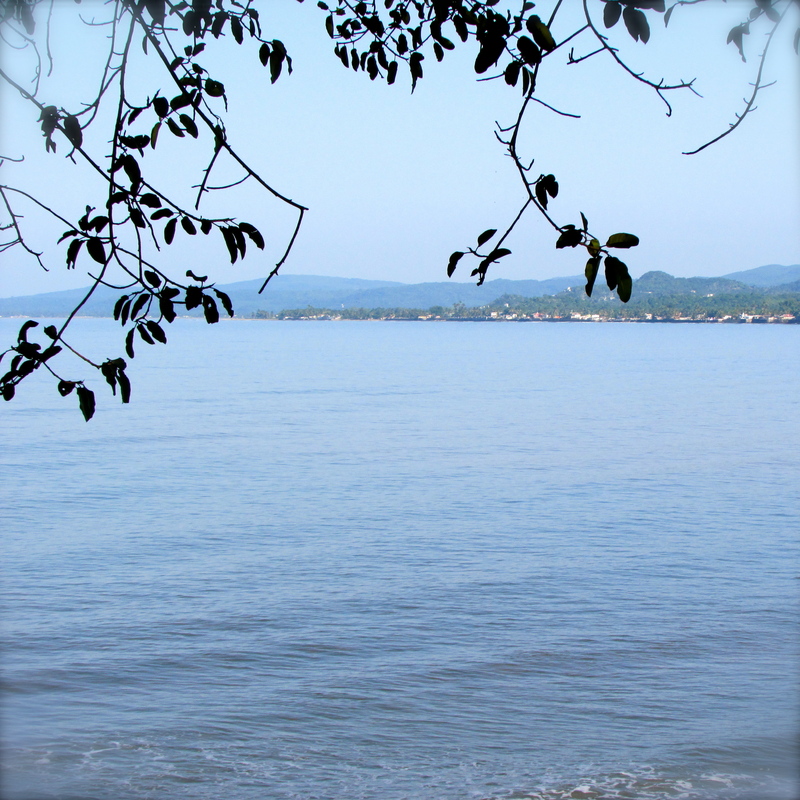 The drive to Sayulita was especially beautiful. We moved away from the beach a little bit, and the smells told me we were truly somewhere else now. Jason called it ‘the jungle’ and it sure looked and smelled different. Nothing but huge trees, packed in close together, and tons of birds and animals making a racket. The road was small and winding, moving us up and down mountains, but not too bumpy, and My Family was so excited to be heading back to Sayulita. We got there a couple hours later, drove through the beginning of what looked to me like a super cute town, and ended up at the Sayulita RV Park. We ended up staying in Sayulita for nine days. Victoria and Jason had come here before, and they tell everyone that this is where they first had the idea for the Big Adventure. Sayulita is really beautiful, with cobblestone streets, lots of art and pretty shops, and some of the most delicious food I’ve had a chance to taste. Our days were very relaxed and pretty slow, which is just fine with me. Every morning started with Jason making coffee and my Family sipping it either on the beach or at our campsite. Jason would hop on the computer and do some work, either at home, at a local restaurant called Tropical which had yummy smoothies, or at the Yah Yah Coffee Shop in the town square. 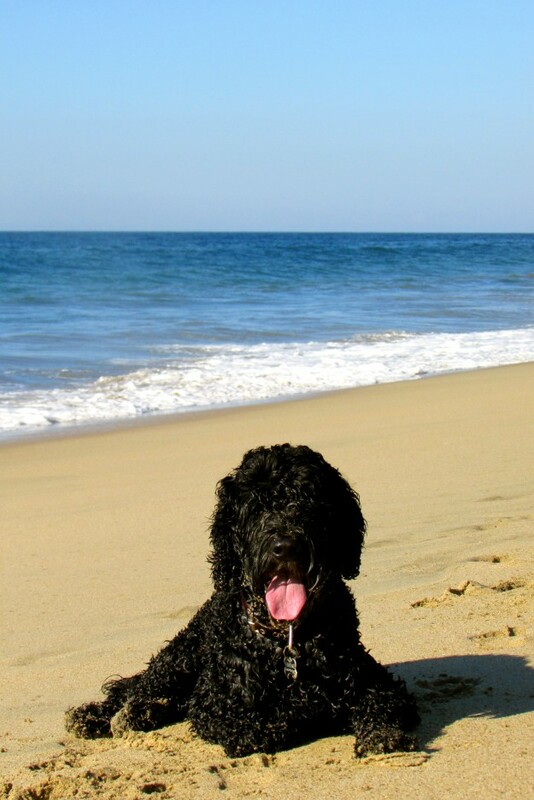 Meanwhile, Victoria and I would lay on the beach, go for walks to meet other dogs, or hang out with the old and new friends we made. When Jason came home for lunch we always went for delicious fish tacos or ceviche, and every time I got to have a taste. Then we’d go for more walks, hang out on the beach and read books (well, not me, but you get the idea) and just enjoy the beautiful weather. There was a little bit of rain, but it cooled things off and got rid of the bugs for a little while, so that was just fine with me. Each evening we would walk into town and try out a new restaurant or taco stand, listen to the street musicians, watch the kids and dogs running around or hang out with our friends. Marcia, Andre and Olivia spent two nights with us, and they made delicious barbecue one night. We met a German boy named Alex who is riding a Vespa scooter from Alaska all the way to the bottom of South America. I liked his accent. Jason, Alex and Andre spent a night talking over beer, but that seemed pretty boring. Over all, I can really see why Victoria and Jason like Sayulita so much. 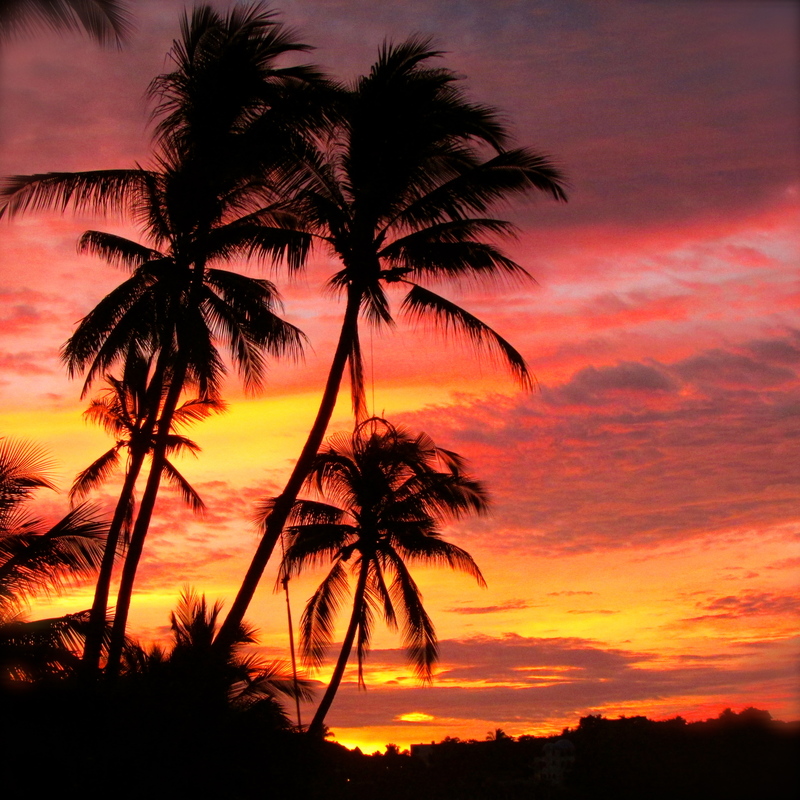 It’s full of nice people, great beaches, better food and super colorful sunsets. Victoria commented that it seemed a lot more busy than the last time she and Jason went (when I was left behind, stuck hanging out at the vet’s office in a tiny cage! ), and full of tourists (what they call ‘gringos’ here), but we all still had a fantastic time. The only issue was the dirty bathrooms at the RV park, which I think Victoria complained about every single day. Oh yeah, and there was one more thing I should probably tell you about. That nice German couple Doris and Torsten spent a couple of nights there as well. I love that Torsten guy so much! We had a lot of fun together, but one night My Family and our German friends went out for dinner together. They wanted to leave me at home in the camper. I don’t know what got into me, but I wasn’t happy about this arrangement, so I scratched and scratched at the door, hoping they would hear me, change their minds and let me come with them. But they never did. When they got home I almost jumped out of the camper into Jason’s arms. I knew what was coming. Jason saw it almost immediately – I had scratched holes in the screen door! They told me I was a Very Bad Dog over and over, but I guess they felt bad about leaving me behind and didn’t stay mad that long. No one’s perfect, right? Part of the Revolution Day Parade. 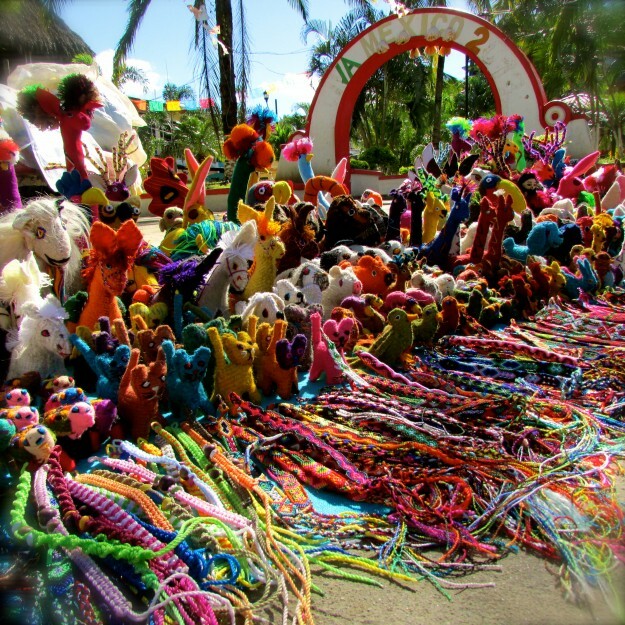 The day we left Sayulita, the was a big parade in town. All the girls were wearing really colorful dresses and the boys had funny pretend mustaches drawn on their faces. It was fun to watch but the parade was blocking all the streets so we had to sit around for a while in the Big Truck until we could leave. More delays, but Victoria said we have to get used to things taking longer than they did back in California. Anyway, we eventually could drive on the roads and headed out of town towards the ‘Highlands,’ where we are now. More on that later! PS: If you want to see some of the pics My Family took, they are on Facebook! PPS: My Family did an interview with an online magazine called SayulitaLife.com! I think that means I’m famous.